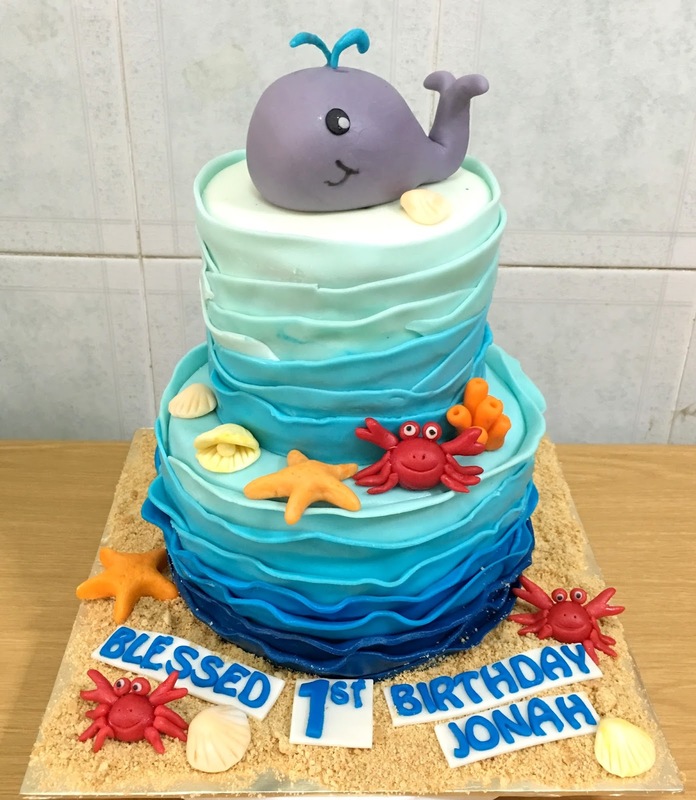 It must have been a whaley good time for Baby Jonah as his parent’s celebrated his 1st birthday with an Ocean theme party. Kids are so lucky these days! The cake is a 8” by 6” round two tier cake. Bottom tier was chocolate flavour and top tier was vanilla bean cake. 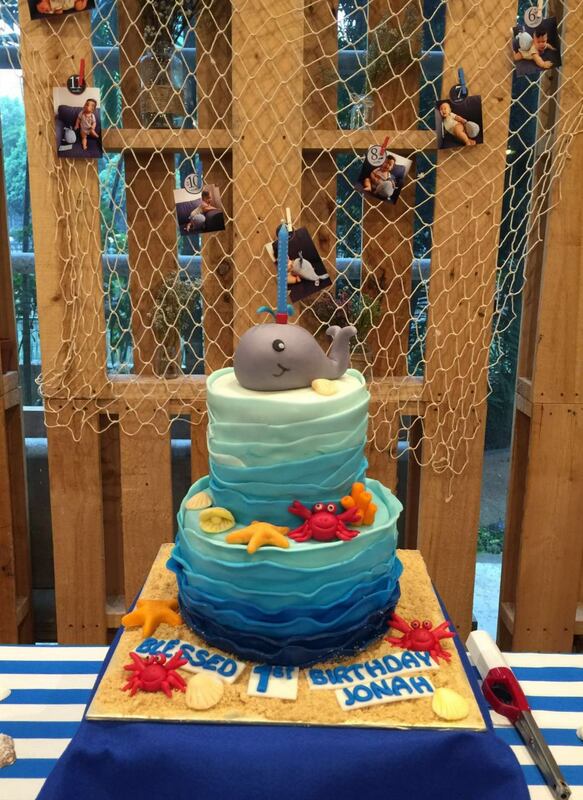 The cake was then “dressed up” with blue ombre waves topped with a cute little baby whale. Bottom of the cake was scattered with crushed up digestive biscuits to represent the sand and of course accompanying this cake were some crabs, seashells and star fishes. 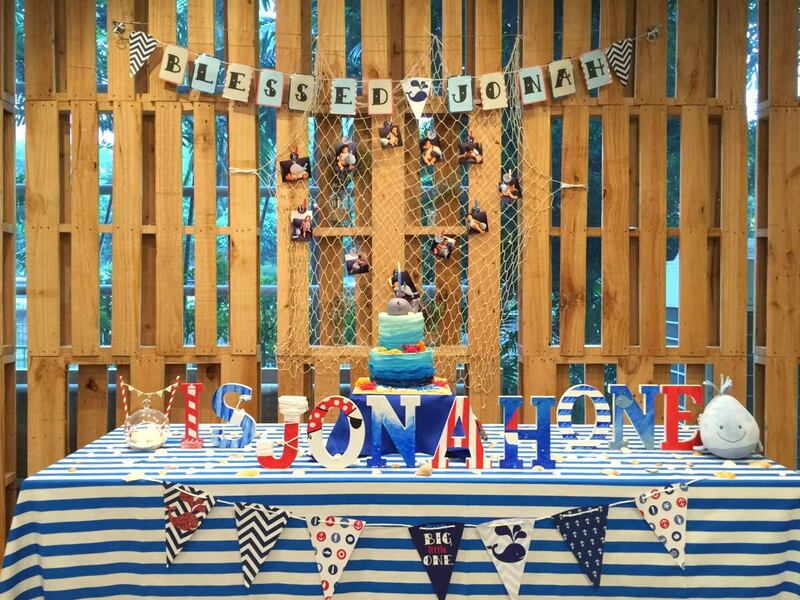 Their Ocean Themed table was so elaborate and pretty!